Welcome to Eagle Manor, located at 400 Price Station Road, Church Hill, MD, a quaint community of 31 single family homes nestled on the quiet outskirts of historic Church Hill, Maryland. $6,000 Seller Closing Assistance plus 1/2 off Options and Basement. NO CITY TAXES. 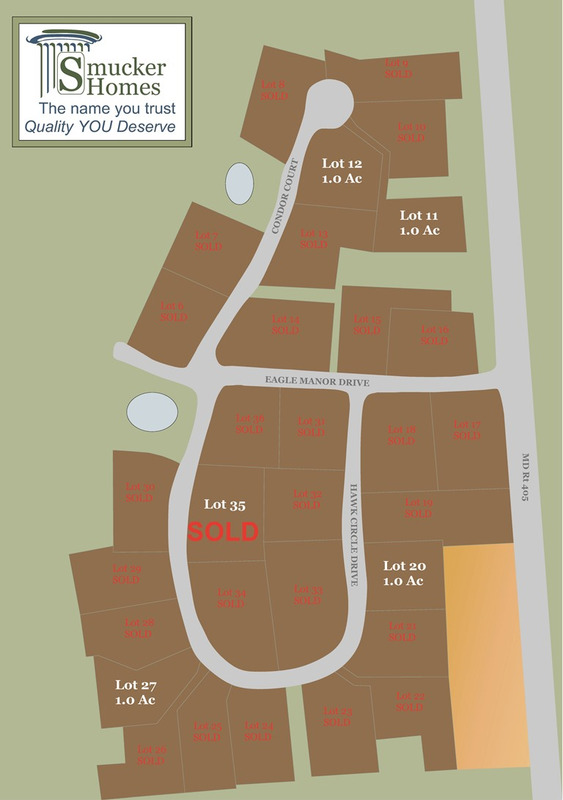 LOW MONTHLY PAYMENTS AND 1 ACRE LOTS. See our website for complete list of our standards which other builders call upgrades. Buyer must use builder's preferred lender and title to qualify for prices listed. Ask sales person for details. Plans & Elevations may show options. The quintessential small-town America, Church Hill dates back to colonial times. Settlers moved into the area in the late 1600's, though the town was not incorporated until 1876. It is presumed the town is named for the lovely brick church situated on a rise in the undulating landscape. St. Luke’s Episcopal Church built in 1732. Just minutes away from Eagle Manor is the historic town of Chestertown. Located on the Chester River this beautiful town is home to Washington College, The Chester River Hospital Center, a theater, art galleries, antique shops, restaurants, boating, lodging and shopping. Who wouldn’t want to build a home here? * Buyer must qualify for builder's loan program with USDA or FHA for "$3,500 moves you in". Buyer may be required to add closing cost & mortgage expenses to sale price, contact us for details.